Have you decided that you’re going to install replacement windows in Alpine, CA this spring? That’s a smart decision. Your new windows will make your home more energy efficient, improve your curb appeal, and protect you and your family moving forward. Depending on what kind of windows you pick out, they’ll also probably last you for years and won’t need to be replaced anytime soon. There are some preparations you’ll want to make before you have your new windows installed, though. There are some simple steps you can take to make sure your installation goes off without a hitch. Check out how to prepare to install replacement windows this spring below. Choose the right windows for your home. First things first: Before you can set up Alpine, CA window installation, you’ll need to pick out the windows that you want to install in your home. Do this by taking a trip down to your local window company. Check out all the options they have in stock and think about which windows would be best for your home. From vinyl windows to wood windows, there are so many options. It’s your job to narrow down your search based on your needs and select the windows that you like the most. Hire the right window company to install them. Once you have your new replacement windows all picked out, it’ll be time to arrange for them to be installed. More often than not, the same window company that sold you your windows should also be able to install them for you. Ideally, you want to work with a company that has window installers on staff so that you know they’ll stand behind the work they do. Work with your window company to come up with the right date for your installation. Clear everything away from your windows inside and outside your home. When window installers show up at your home to install your new windows, they’re likely going to need to be able to access your windows from both the inside and outside of your house. Therefore, it’s a good idea to clear everything away from windows that are being replaced. Sweep away leaves, sticks, and other debris that might be gathered around the perimeter of your home. Then, move any furniture that you might have inside your home away from your windows. This will ensure your windows go in without a problem. Learn how to maintain your new windows. From the moment your new windows are installed, you’re going to be in charge of maintaining them. The good news is that most of the windows on the market today don’t require very much maintenance. The only thing you’ll need to do is wipe them down with a cloth from time to time to keep them looking like new. But you should do some research into the best ways to maintain your specific windows. It’ll allow you to get as much life out of them as you possibly can. Priority Door & Window Products can provide you with experienced Alpine, CA window installers to replace your home’s windows. We can also show you a large selection of windows and help you pick out the right ones for your house. 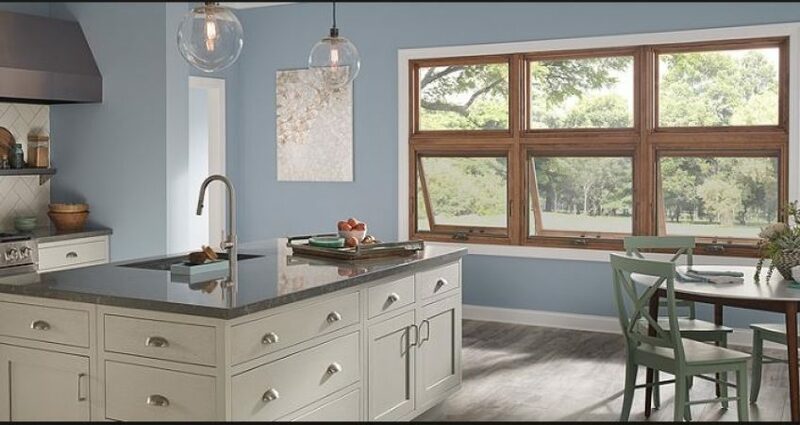 Reach out to us at (619) 281-2333 today for more information or stop by 4606 Mission Gorge Pl # A, San Diego, CA 92120 to set up a free window consultation.